We offer a bespoke product development service. Gifts of Distinction can develop exclusive branded full colour Lapel Pins for you and your company. 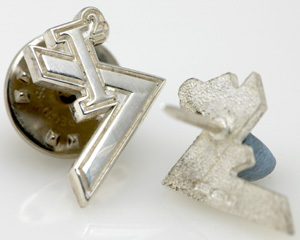 The dominant production method for Lapel Pin production is Stamp and Enameling. 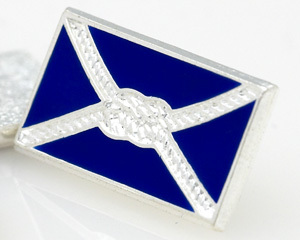 A distinctive example of a UK Made Stamped Lapel Pin in hallmarked Sterling Silver. Pins can be made to order in and shape, and are hand stamped here in Birmingham. All pieces come with beautifully polished edges and a high level of craftsmanship.